Yesha Council Secretary General Shilo Adler welcomes Havat Gilad recognition, urges government to do the same with 24 other communities. 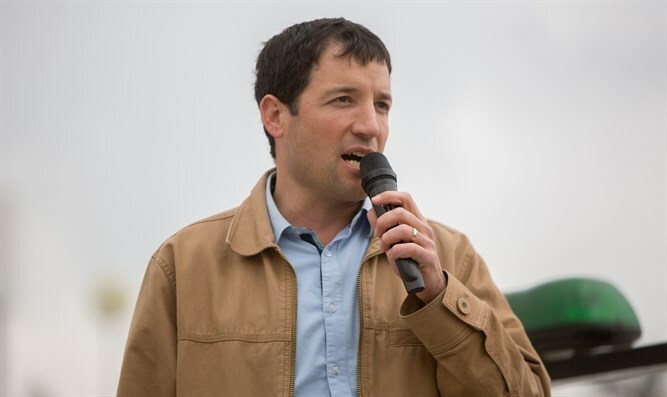 Yesha Council Secretary General Shilo Adler on Thursday welcomed the government's expected approval this coming Sunday of the normalization of Havat Gilad, urging the government to do the same with 24 other communities in Judea and Samaria that are waiting to be officially recognized by the state. "This Sunday, the government of Israel will finally recognize Havat Gilad," Adler said in an interview with Arutz Sheva, adding, "This is a historic event in which a community in the land of Israel is recognized. Havat Gilad was established in memory of Gilad Zar, who was murdered there, and there is nothing more symbolic than the fact that the government is finally about to normalize this place." Adler noted that there are other young communities in Judea and Samaria waiting to be officially recognized, and that there is no need to wait for terrorist attacks such as the one in which Rabbi Raziel Shevach was murdered until these communities are recognized. "The Israeli government has to take an initiative. There is a rare window of opportunity here with a right-wing government and a lack of a Palestinian peace partner and with American support. This is an opportunity for the prime minister to make a new report that will make Talia Sasson's report irrelevant," he said. The Sasson Report is an official Israeli government paper from 2005 that was authored by then-head of the State Prosecutor's Criminal Department, Talia Sasson, who later joined Meretz and is currently the president of the leftist organization New Israel Fund. The report claimed that the Ministry of Defense, the Ministry of Housing and Construction and the World Zionist Organization were diverting millions of shekels to build “illegal outposts” in Judea and Samaria. Asked about the Yesha Council's relationship with Defense Minister Avigdor Liberman, Adler said the relationship is good. "There are things on which we do not agree, mainly in the diplomatic sphere, but there are issues on which we see eye to eye, such as his big plan for adding the necessary security components in the settlement enterprise. All that is missing is the budget [to implement the plan],” he noted. "We call on the defense minister, the finance minister and the prime minister to find the budgets for the security components. There is a similar plan for northern Israel at a cost of 15 billion shekels, but there is no such plan for Judea and Samaria. All we need is a plan that will allocate 2-3 billion shekels for infrastructure and security components,” added Adler.